Durrrr might be one of the best poker players of his time, but his poker blog definitely isn’t. We aren’t saying his blogging is horrible, he just doesn’t post enough on a regular basis to keep us entertainment. Durrrr has however started actively tweeting which has probably become the best way to know what he’s been up. 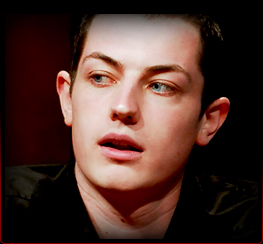 You kind find his twitter feed at the bottom of Tom Dwan’s profile page profile page. I guess we can’t complain too much since he is a young poker pro earning millions of dollars a year living the ‘baller’ life-style 24/7. Most of us when put in his shoe’s would probably think of the dollars it would cost each minute to type a blog (and not playing some new hot shot online) or hire an assistant to type out a few hundred words every few days. So in that respect thanks Durrrr and keep up the good work. It seems like Durrrr is a sporadic blogger often blogging 3 days in a row followed by a 3 or 4 week break. Let’s just hope his sporadic blogging sessions become longer and longer as he start gathering more and more followers on the net. As you might know Durrrr has issued a 1 million dollar heads up challenge to pretty much the entire world (except for ‘OMGClayAikon’). This challenge has been ongoing for a very long time now and has become kind of hard to follow. This is where his blog becomes more useful as his posts often contain information about the latests developments in his Heads Up challenge. So if your aren’t familiar with Durrrr’s headsup challenge or haven’t readup on it for a while, be sure to check out his blog page for a quick overview and update. You can visit Durrrr’s official blog by following the previous link.